Marine Towing of Tampa, LLC was founded in October 1999 by a group of local towing professionals - ending a monopoly on harbor tug services that existed for several decades in the Tampa Bay area. January 2003, after a six year hiatus from the towing business, members of the Steinbrenner family reunited with the Marine Towing group (all former employees of the family’s Bay Transportation Corp.) as partners in Marine Towing of Tampa, LLC. Steve Swindal and Hal Steinbrenner, both then General Partners of the New York Yankees, served, respectively, as Chairman and Vice Chairman of the company; furthering the family’s maritime interests, which began on the Great Lakes in 1852. In 2007, Steve Swindal became the major shareholder of Marine Towing of Tampa, LLC and in 2008 was appointed by Florida Governor Charlie Crist and reappointed in 2012 by Governor Scott to the Tampa Port Authority Board of Commissioners. As well can be imagined, Marine Towing knows what it takes to get the job done. 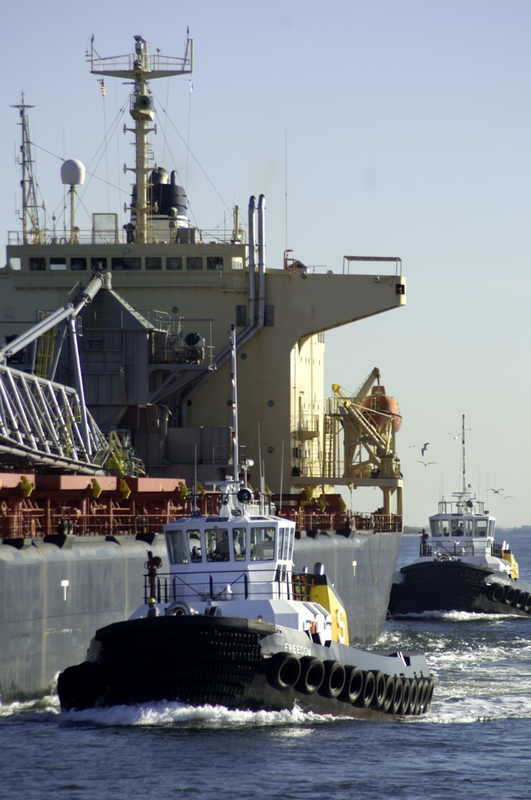 Having pioneered the advent of highly versatile tractor tugs in the United States in the early 1980s, Marine Towing’s staff and management believes that state-of-the- art equipment is a prerequisite to success in the tugboat business. Marine Towing’s fleet is exclusively made up of high horsepower Z-drive tugs specifically designed for ship assist work in close quarters. With the oldest tug in the fleet constructed in 2000 and the newest scheduled for delivery in 2013, Marine Towing is proud to have perhaps the youngest average fleet age in the harbor tug business anywhere. When push comes to shove, Marine Towing provides its customers with top-notch equipment, first class operators and a premier management team with the most extensive local knowledge available within the industry.